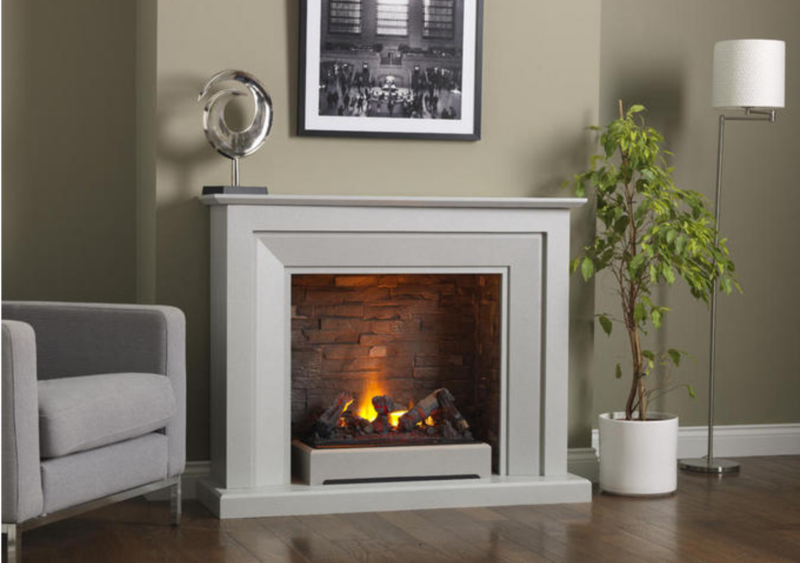 The Terrano Grey finish on the Napoli gives a real warmth to this electric suite, combined with the realistic grey slate effect chamber this is the ideal fireplace for a modern room setting. Suitable for flat wall fixing this electric suite does not require a chimney. Also available in White and Sandstone finishes.